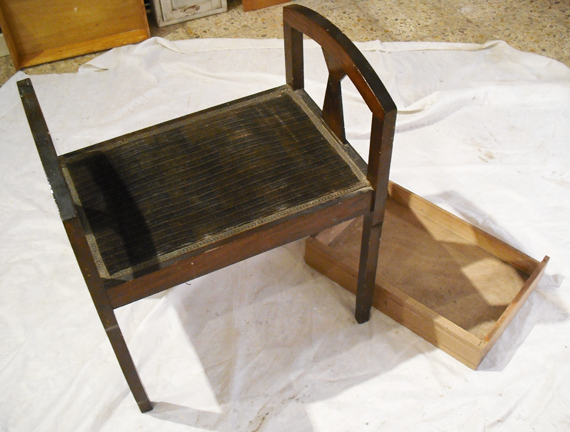 This is a lovely Art Deco piano-kind stool, rescued and brought to a better, brand new life. 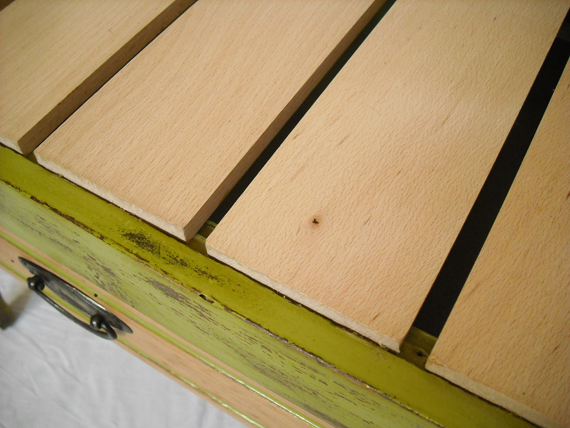 Not only this fine piece of furniture is recovered and adapted to our times (with the lime green and the cushion colours, plus new wood slats for the seat), but it is made even more useful by adding some storage space to it: a lovely drawer from a 20s school desk. 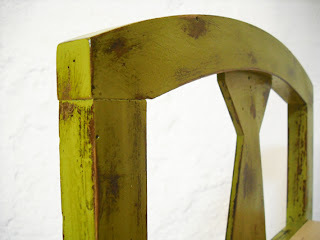 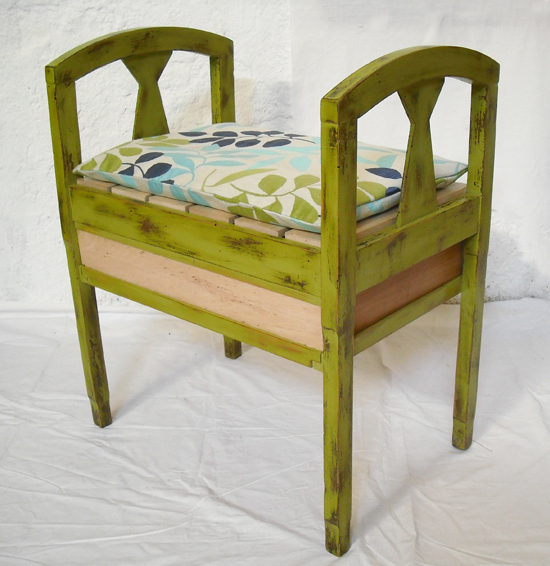 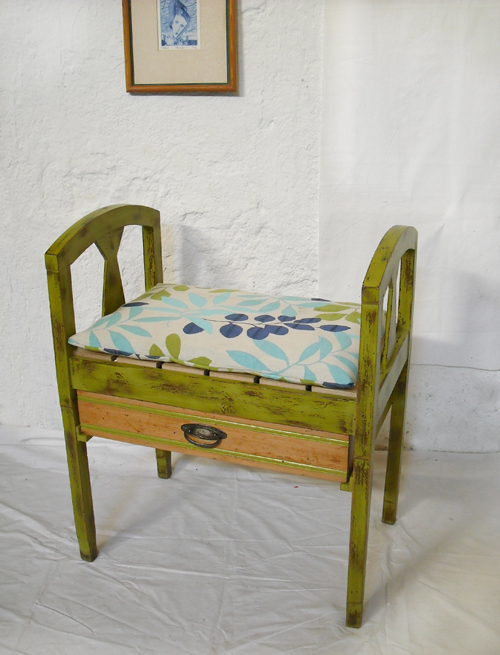 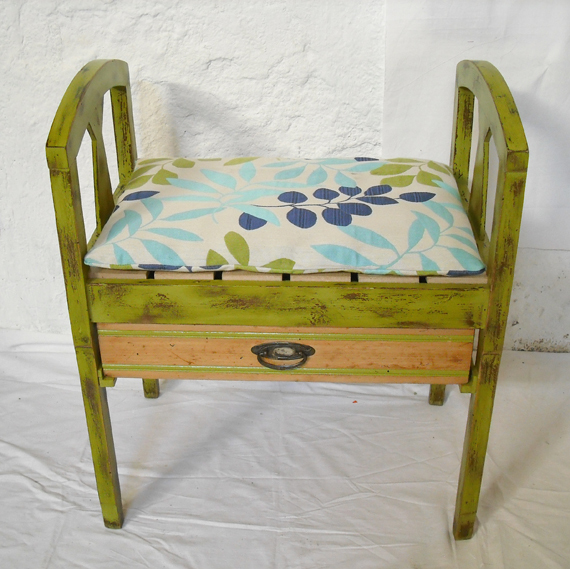 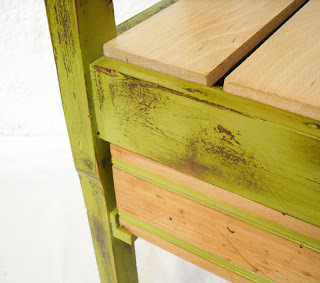 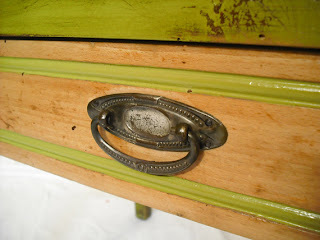 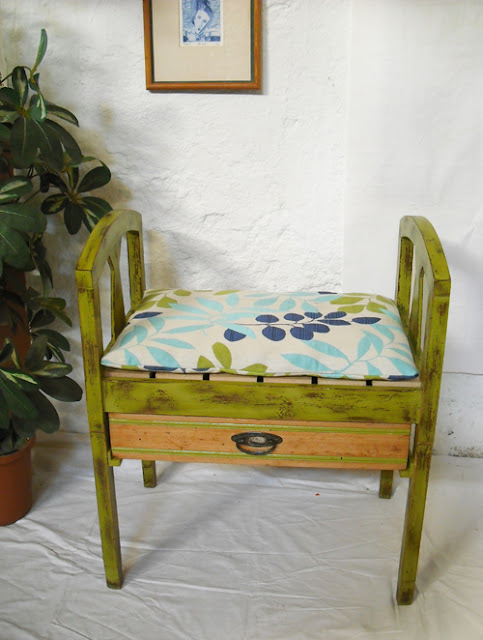 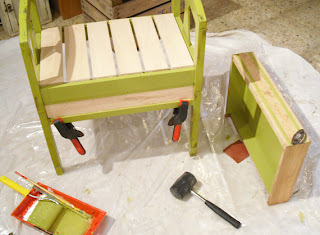 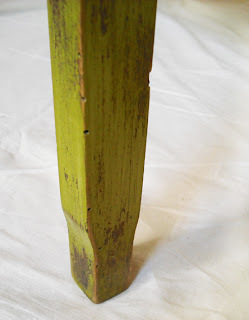 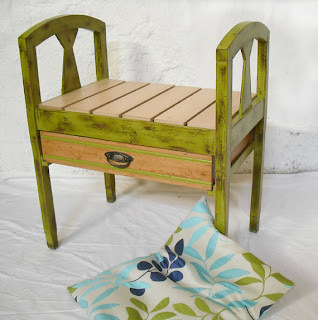 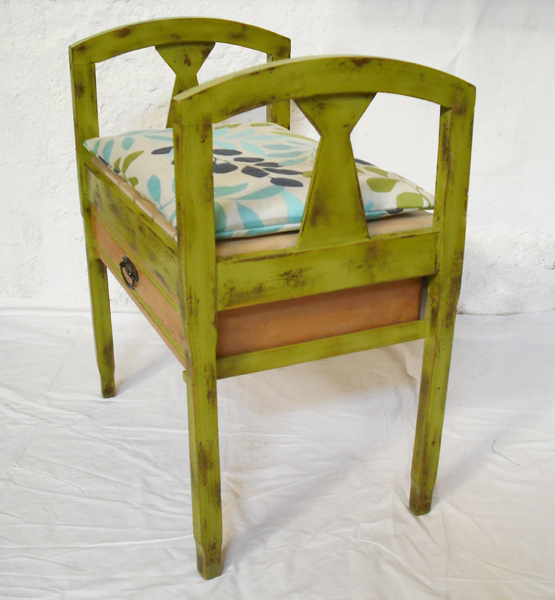 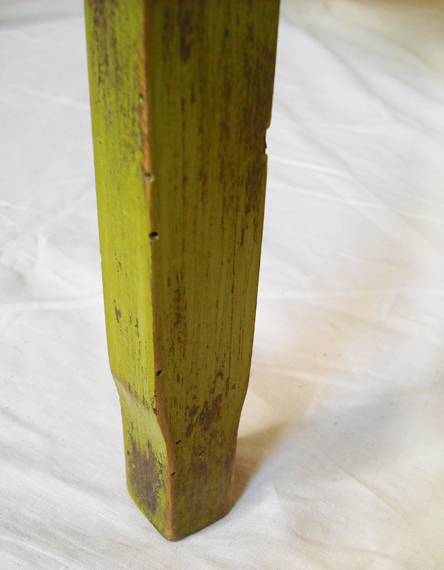 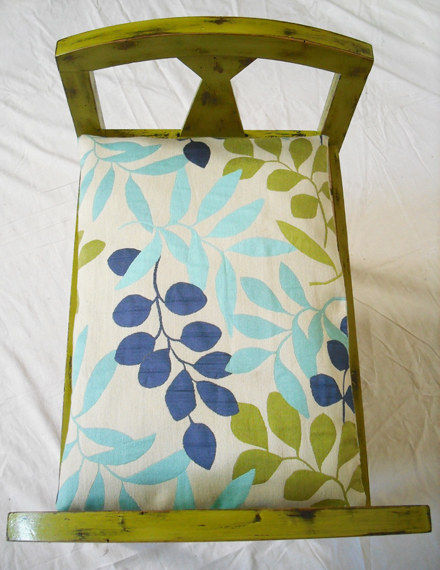 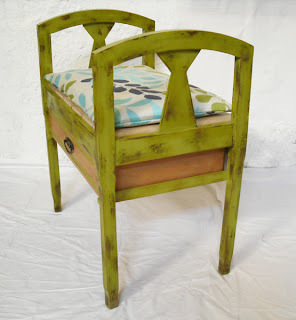 The green stool measures 52x36cm, 62cm high. 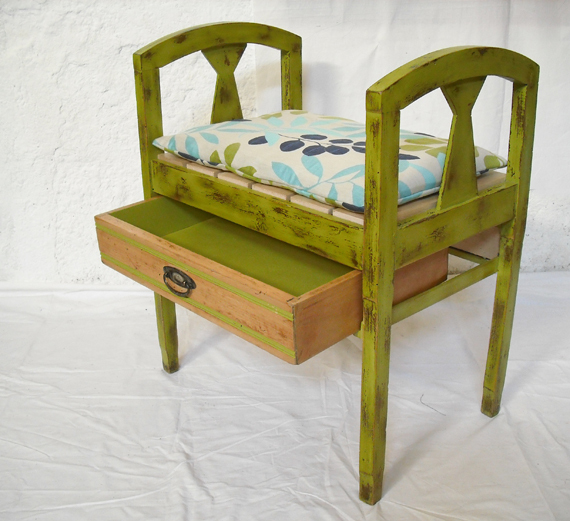 It is perfect for a bedroom, a small entrance in need of extra storage space, as a dressing table seat... and of course to be used as a piano stool! 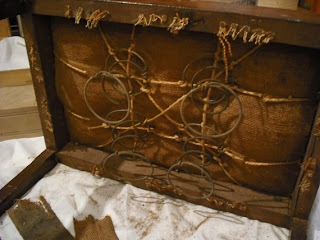 3rd, the tedious process of taking all the nails out -done! 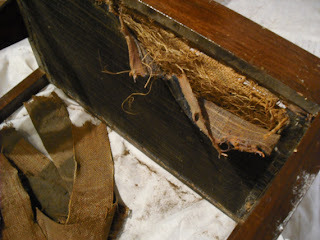 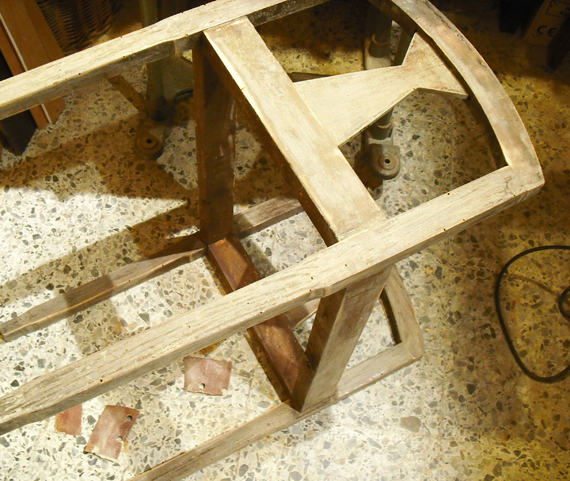 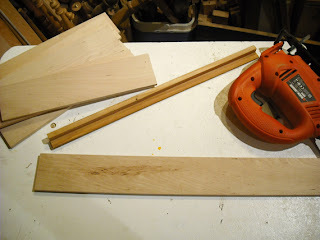 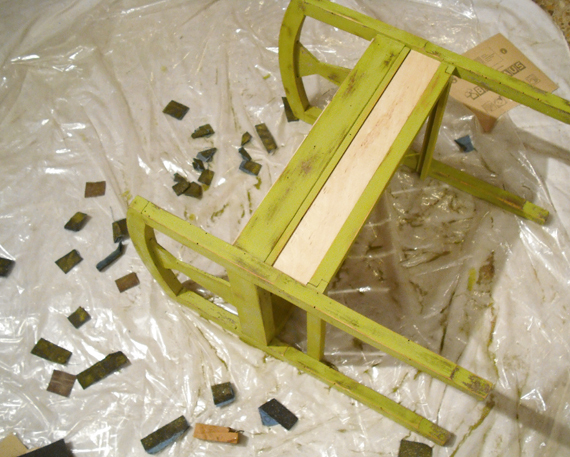 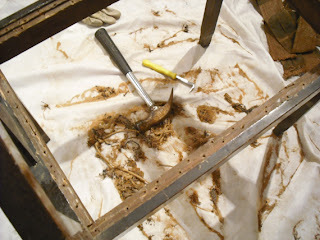 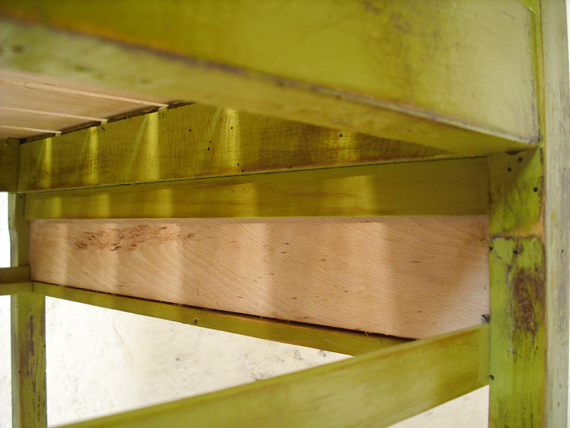 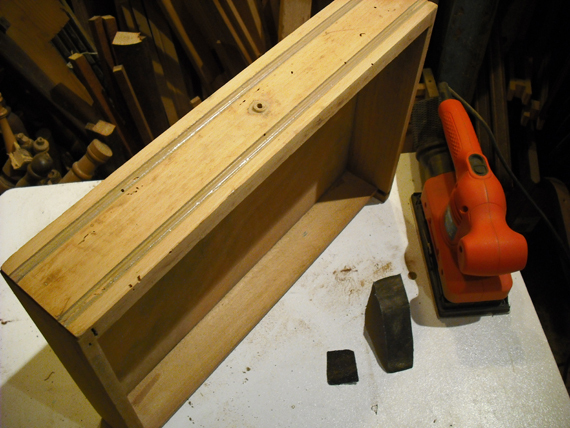 Treating the wood, then sanding the stool -The structure was in mint condition, which is good!